British holidaymakers in the parts of the Canary Islands affected by forest fires have been urged to maintain contact with the Foreign Office. Thousands of residents had to be evacuated from their homes after wildfires struck La Gomera and Tenerife, with 18 towns and villages across the two islands affected. As yet, holiday resorts popular among British tourists have escaped unscathed, although some excursions in Tenerife have been suspended for the time being. Travel association ABTA and the Foreign Office are both keeping a close eye on developments, with the latter advising British nationals to stay in touch. 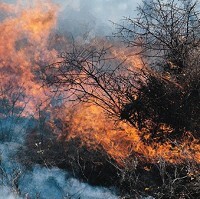 Several forest fires continue to affect the Canaries, Galicia on the Spanish mainland, and the Greek island of Kefalonia, ABTA said. Spokesman Sean Tipton added: "Resorts have not been affected by the fires, though as a precaution tour operators have suspended some inland excursions on Tenerife." Martin Rothwell, managing partner at Rothwell & Towler, said the situation as it stands at present would not normally be covered by standard travel insurance as such policies do not cover loss of enjoyment from not being able to visit a particular resort or location while on holiday. "If tourists need to be relocated it will generally be a situation which tour operators would manage," he explained. "We are however closely monitoring the situation and will provide emergency medical assistance to insured clients should they be injured as a result of accidents arising from these fires," Mr Rothwell added.